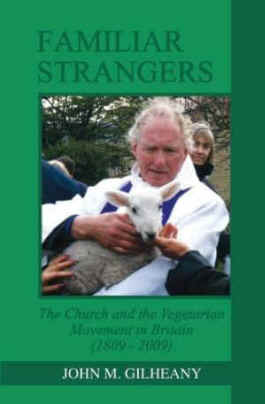 Within the name,Familiar Strangers, John Gilheany captures the essence of the struggle that has existed between the church and the vegetarian movements for the past 2,000 years, and his study of the last 200 years in Britain highlights the continued struggle, as well as the advances that have occurred. For far too many years the majority of churches and church leaders have turned a blind eye and heart toward the suffering of animals, and the health problems to human beings that an animal product based diet causes. In Familiar Strangers, John Gilheany brings to light the historical documentation and the need for all of us to become vegetarian/vegan, for it is God's heavenly will for our lives, and the best thing for the animals and the environment. In Familiar Strangers, we also see how the animal rights movement was a natural progression of the vegetarian influence with it's concern for the suffering of animals. 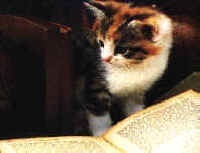 Each chapter of the book is followed by a thorough list of references. We highly recommend Familiar Strangers, by John Gilheany to all our readers. John Gilheany is an excellent researcher of historical Christian and Vegetarian issues. He produces all the material published on the The Fellowship of Life website. John works in the construction industry, and in addition to his Christian and vegetarian interests, he enjoys fitness training, illustration, and electronic music.